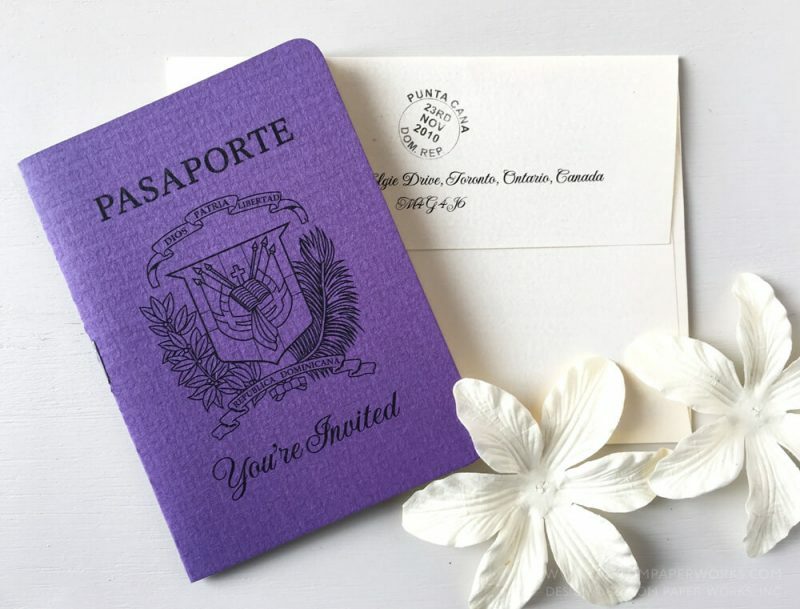 These custom-designed wedding passport invitations feature orchid watermark background images on each page, several customized passport wedding stamp artwork elements, and a luxuriously textured purple cover with the Dominican Republic Coat of Arms shield. When my clients have a specific color in mind, I really like to try and match it (instead of presenting a very limited pre-determined set of papers, which is what many stationery shops do). When needed, I’ll search through dozens of paper suppliers and hundreds of colors to find the closest match. This one happened to have a larger linen weave-like texture that really helps them stand out – looking AND FEELING UNIQUE. The front covers were printed using our standard flat ink printing, which is a great option when you aren’t up for the additional cost of metallic foil imprinting. The wedding was at Paradisus Punta Cana Resort in the Dominican Republic. 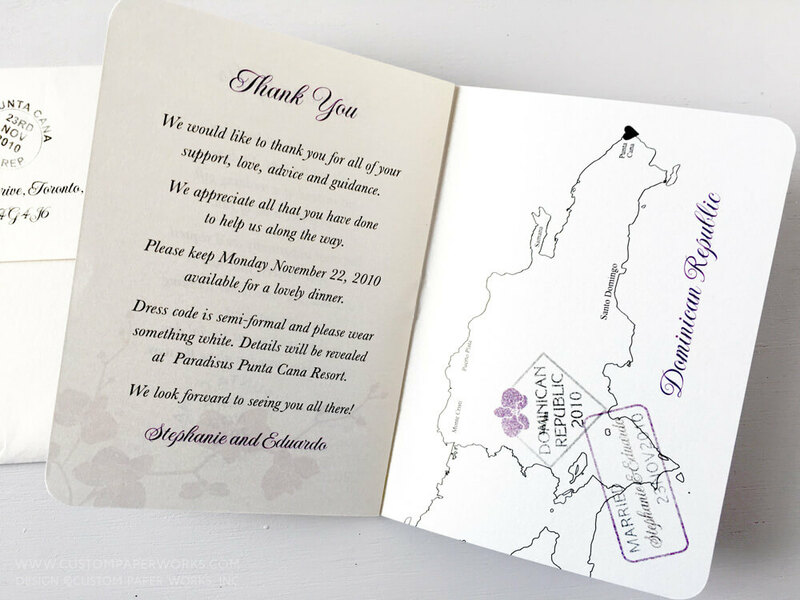 The subtle orchid watermark adds a romantic touch and incorporates the purple color scheme subtly throughout the passport invitation design. 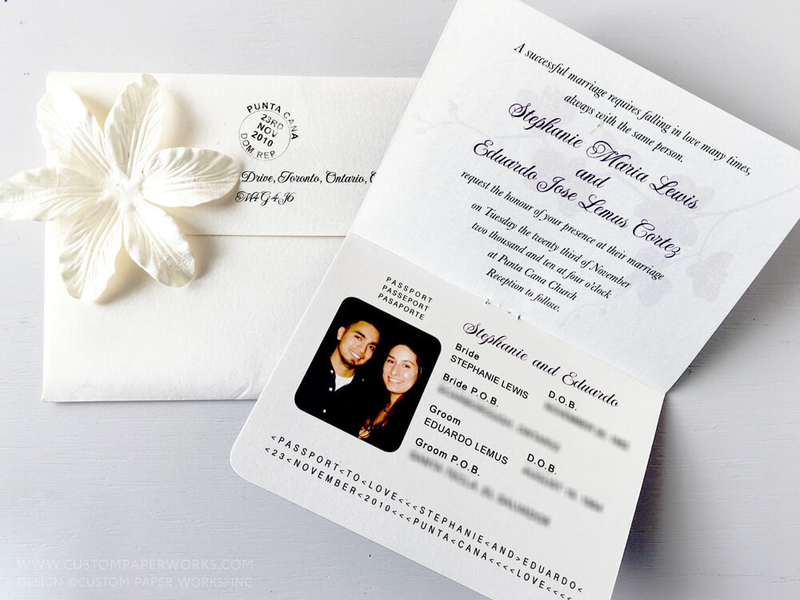 The orchid design was also included in the faux passport stamp artwork for added color while still keeping the overall look traditional and timeless. 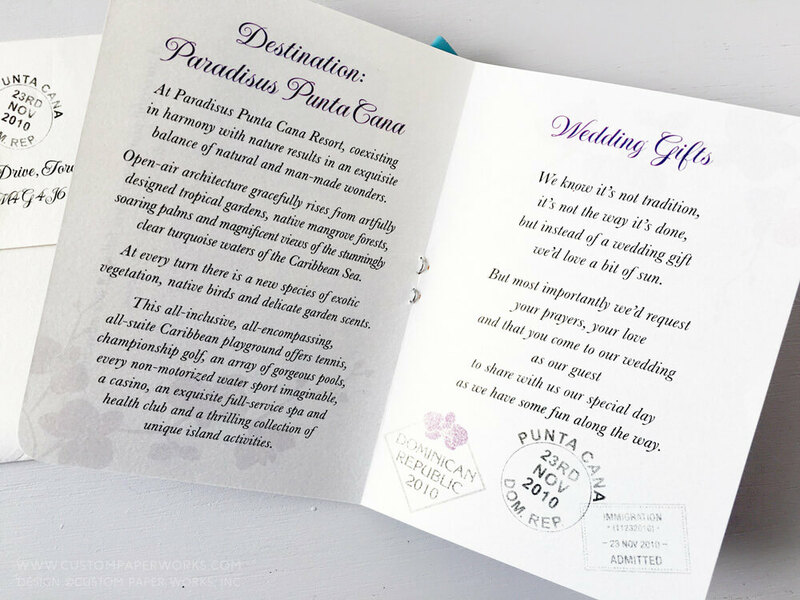 Getting married in the Dominican Republic? 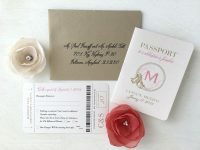 I’d love to create a passport invitation that suits your style and wedding-day look!